Back to school vintage style! Why not go back to school in vintage style or spruce up your home office ? We have some beautiful Italian leather desk accessories at Mrs. Nicholson Home this week! We’re featuring a few letter holders and a lovely desk set which includes a beautiful letter opener with a tortoiseshell blade, two glass inkwells and a calendar. The two darling pieces meant for cigarettes and matches could easily hold paper clips and tacks – or treasures. And a delightful frame for a picture of your adored one you can dream over when the workload gets too heavy ! 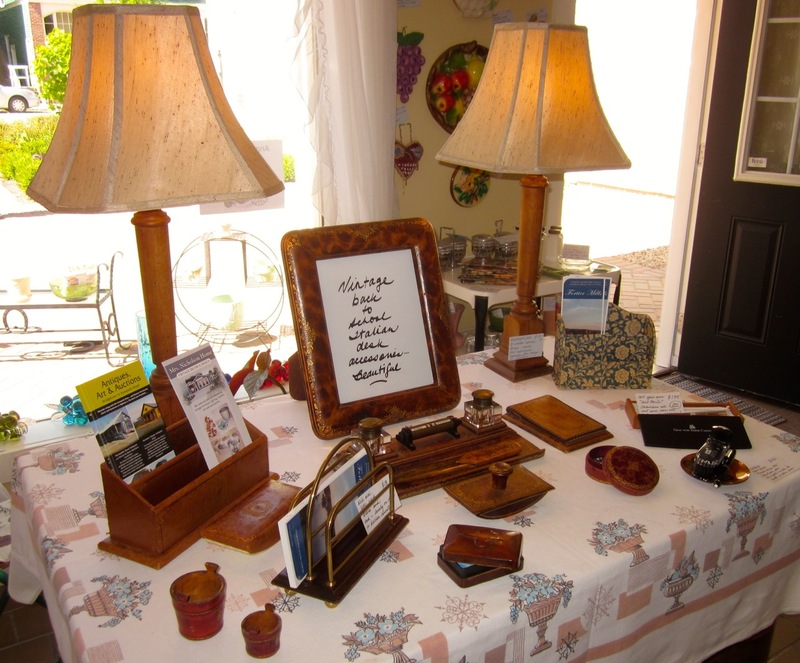 Picture frame: $95, tray with glass bottles and letter opener $125), blotter ($45), notepad ($30).